One of the most critical, and perhaps exciting, industries is web design. It is also an industry that is becoming highly competitive. For this reason, there is no shortage of information about it, that is found on the web. Our site that is dedicated to web design can be included in this. However, our approach can be considered a little different, in that, we want to go back to the basics of web design. Meaning, we want to exclude the hype surrounding the creation of a blog, that is intent on informing interested parties about the topic itself, and not with the intention of just where we can get each blog ranked in the search engine. One can equate our site about web design as a presentation of good old fashioned customer service. We intend to look at the roots and foundation of what web design is. 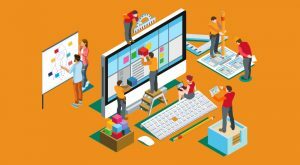 With so much modern technology being available today, it has become easy for the foundation of web design to get overlooked. Yet, the foundation for building a website has remained in place since the start of this industry. The information we are providing, in each blog post, is meant to be like a breath of fresh air. For this reason, they are kept simple but informative. We believe that by going back to the basics of web design, we could possibly help those interested in this topic, save not only time but money. This can undoubtedly be accomplished in a variety of different ways. With regards to time, by just resorting back to the basics of web design, it can help remove all the information clutter, that could be clouding an individual’s judgement, when it comes to their wants, and needs, for the web design requirements for their business. It can also help lead one to the decision, as to whether they should take on a “do it yourself” web design task, or put it in the hands of professionals. When it comes to saving money, we have focused on resources that can be used for web design, that helps to make the task more manageable, and save money at the same time. When it comes to web design, as mentioned, resources are critically important. We desire that this website will be added to your essential list of resources for web design. The information here is not just a read once, and move on type. It is material that you can reference many times over, each time you need a refresher. It is a site that can be used by both the professional web designer, or by those who want to know more about web design fundamentals. Not just to design their own site, but becoming informed so they can make the right choices if they are going to hire a professional web designer. We intend to keep the vital information about web design simple, but not to downplay the importance of web design as an industry. We do not believe that web design concepts will always remain the same, and we have touched upon this in our information, but we do think that the fundamentals will, and need to, stay intact.